Many thanks to Jani from Tuhattori for the beautiful pictures and enthusiasm. You can find the Tuhattori website over here. Materials: Round flat light grey painted base, cast iron counterweight inside the base. 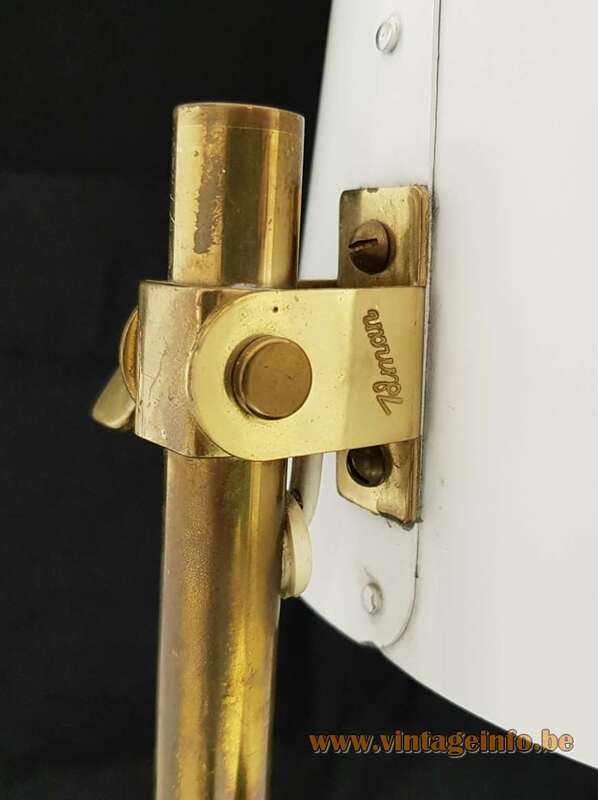 Brass rod. 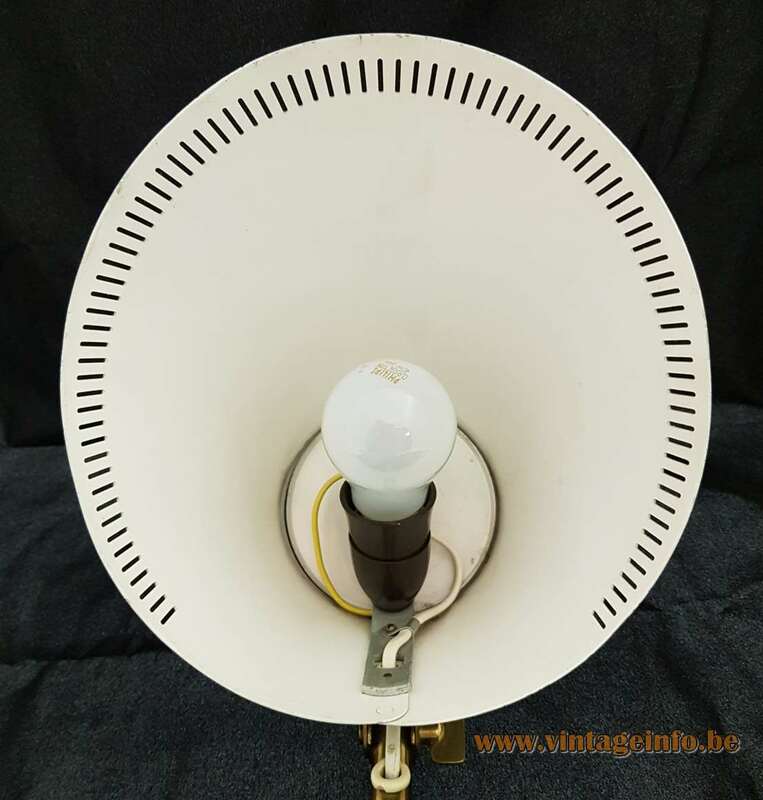 Conical light grey painted perforated aluminium lampshade, white painted inside. Bakelite socket. Manufacturer: Idman Oy, Mattilantie 75, 04600 Mantsala, Finland. Other versions: Made in several colours and completely made in brass. 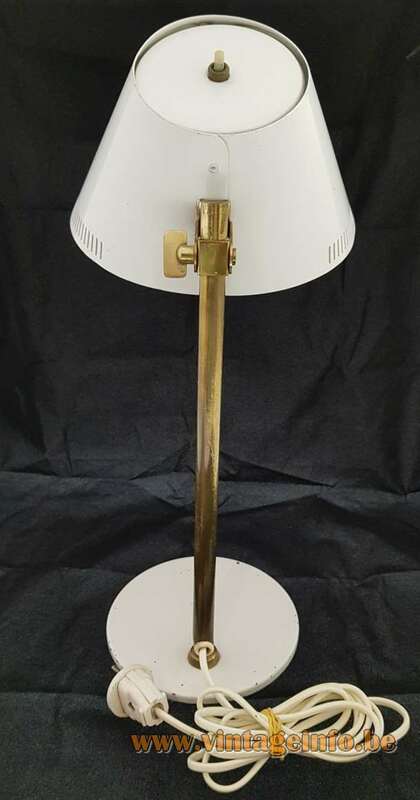 The brass version, model 9227 MS was the most expensive one, as you can see in the catalogue picture. In the 1964 catalogue the model number changed from 9227 into H5-8. 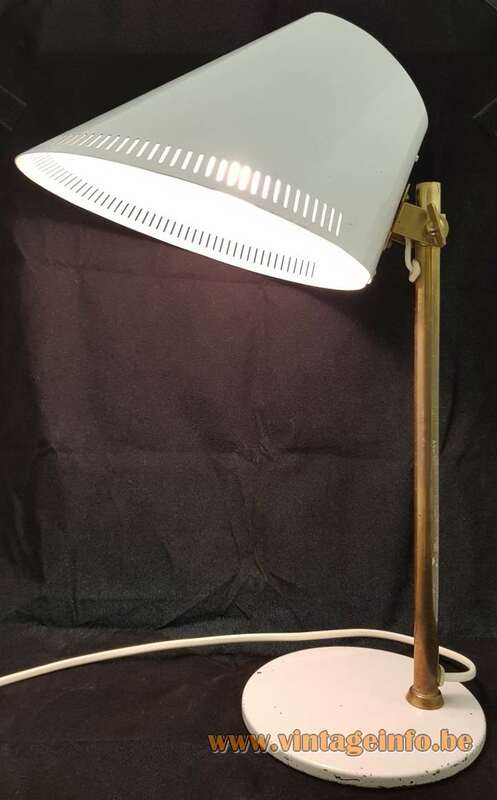 The lampshade was also used for a wall lamp. Paavo Tynell was born on 25 January 1890 in Helsinki, Finland. He started his career as a tinsmith and later as a blacksmith specializing on metal finishes. He qualified as a master craftsman in 1913. In the same period Tynell studied at the Helsinki University of Industrial Arts, today named after another famous designer: the Aalto University School of Arts, Design and Architecture. At first the company created mostly metal objects, also in silver. Later in the 1930s the emphasis was on lighting. Oy Taito Ab worked with many well known Finnish architects and designers, of which Alvar Aalto is the best known. The company produced lights for all his major projects. After the Second World War in 1947, Paavo Tynell became involved with the Finland House in New York, USA. The Finland House was a gallery-showroom, restaurant and office building. 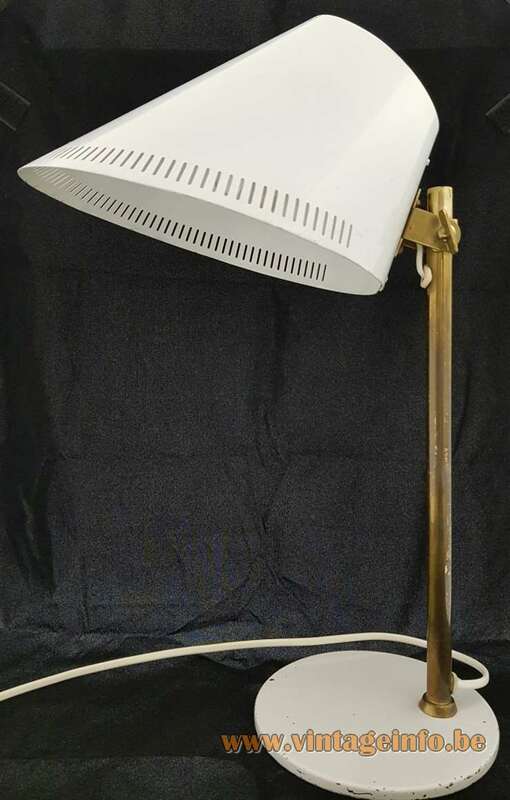 In the US he started designing custom made lighting for hotels, department stores, offices and private residences, all with perforated and polished brass as material. 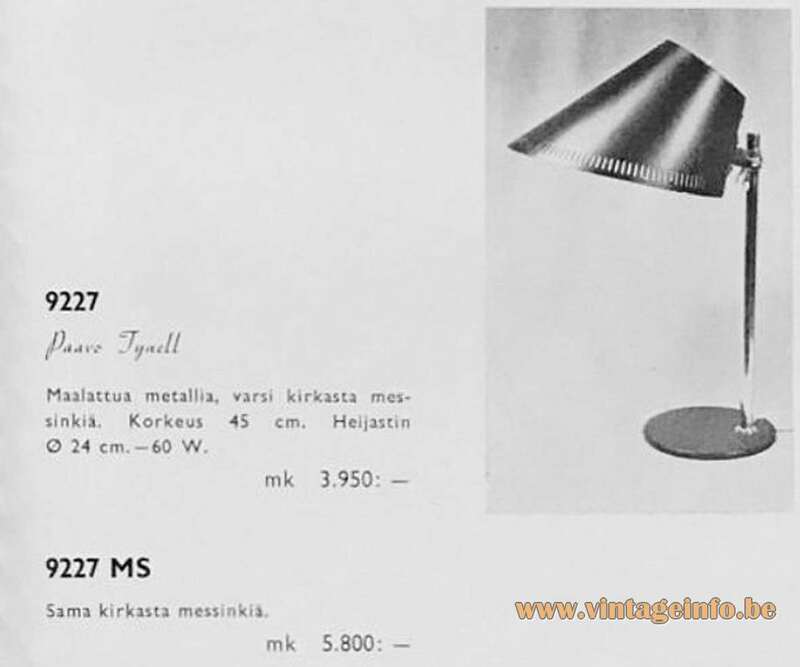 All lamps continued to be produced in Finland. 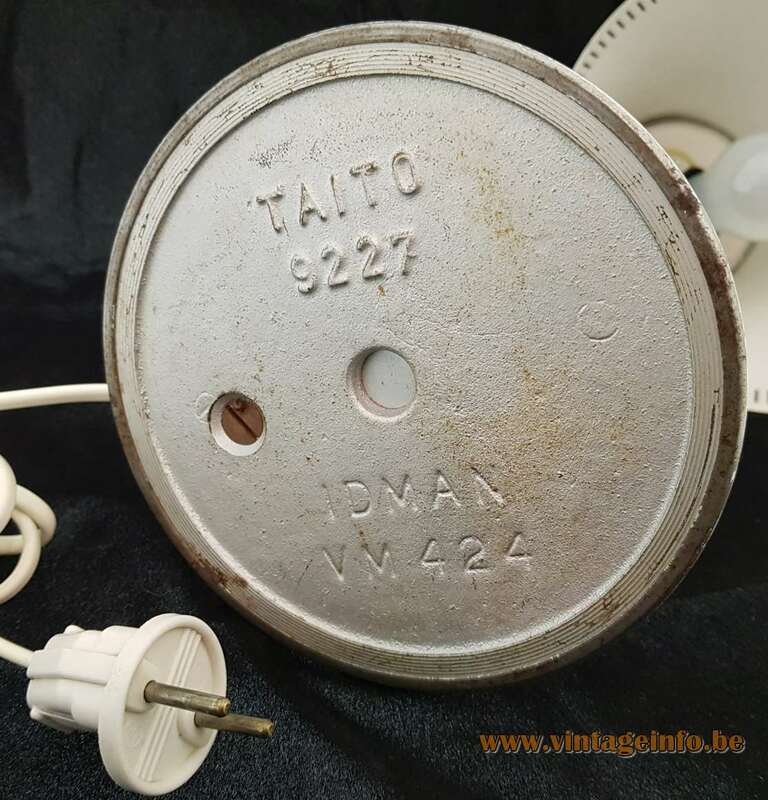 The Oy Taito Ab company was sold in 1953 to another Finnish lighting company, Idman Oy. Idman Oy was a business partner they’ve been cooperating with over the years. 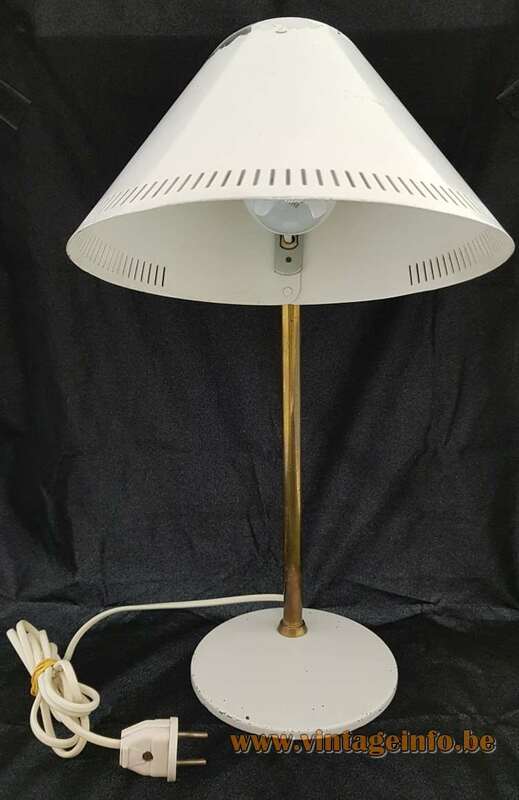 Paavo Tynell worked as a freelancer for the American Lightcraft Inc. and Lightolier Inc. At Lightolier he worked with their in-house designer Gerald Thurston. Tynell continued working for Idman. 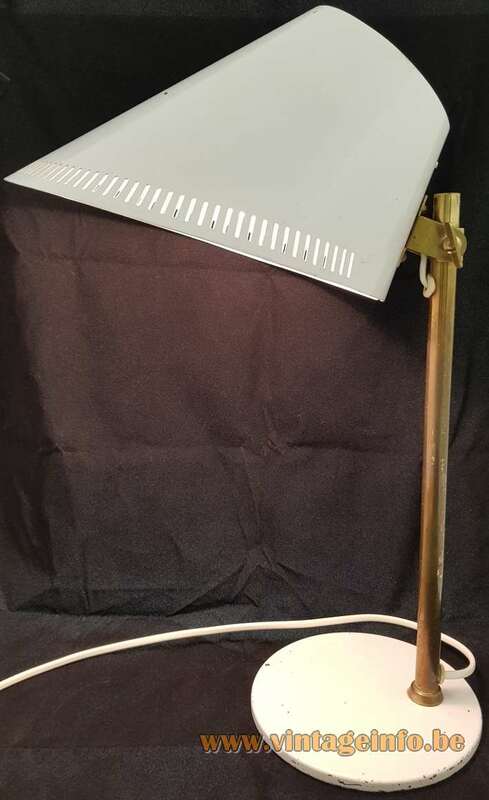 He designed their most popular lamp: the “Starry Sky” perforated flush mount or ceiling lamp. Idman produced it until the late 1970s in different variations. The original one was designed in the mid 1940s for Oy Taito Ab. Idman Oy was an electrical wholesaler. 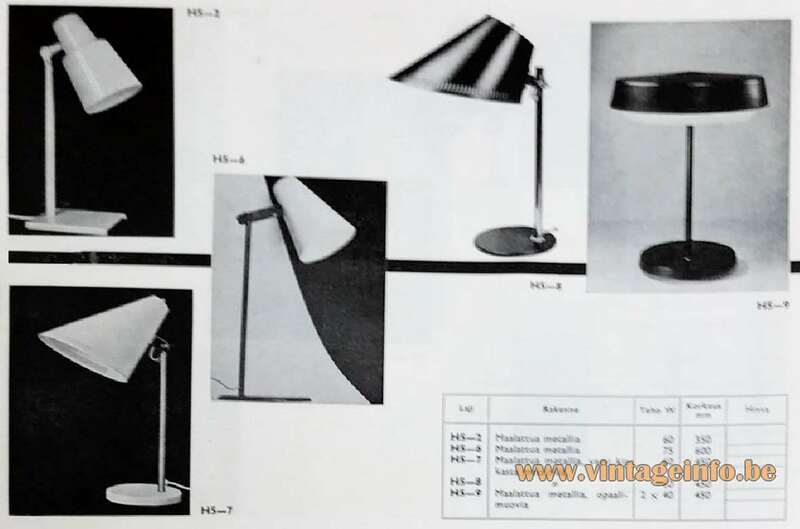 In 1965 the company abandoned the wholesale department and focused entirely on lighting. The Nokia Corporation bought Idman Oy in 1981. In 1985, the company was renamed into SLO-Metal Oy. In 1988, the name changed again, this time in SLO-Idman Oy. Nokia sold its stake in ldman in 1993 to the German AEG. In 1994 it was bought by Koninklijke Philips from The Netherlands. Since 2007 it is named Philips Oy. It is still located on the same address. Paavo Tynell was married to Helena Tynell, born Helena Turpeinen (1918-2016). Between 1946 and 1976, she was one of the most influential designers in the Riihimäki Lasi – Riihimaen Lasi Oy glass factory. She also designed several lamps for Oy Taito Ab, Bega Leuchten and Glashütte Limburg. Paavo Tynell passed away in 1973 in Tuusula, Finland.